With the development of human civilization and the rapid increase of the population in the last decade causing an enormous impact on the production of municipal solid waste (MSW). MSW is generally encompasses residential, industrial, commercial, municipal and construction & demolition wastes. The population of cities and per capita income are decisive factors in the generation of solid waste. The sources of waste are more than one and the garbage generated become more visible and complicated; as a result the environment is becoming infected daily. It elevates the health risks due to air and water borne pollution especially in urban environment. The global solid waste generation is more than 1.3 billion tons per year which is expected to increase to approximately 2.2 billion tons per year by 2025. The developed countries generate nearly 572 million tons of waste per year which is almost half of the world’s waste. Unfortunately, the middle income countries dispose their waste in open dumps while land filling and thermal treatment are the most common methods for disposal of waste in high income countries. If we consider Indian scenario of solid waste management which is a major concern, around 62 million tons of waste is being generated annually in India. Only 28% of collected waste is processed or treated from total appx. 68% collected waste and remaining waste goes for disposal through land filling / open dumps. As per some estimates, the projected waste generation in India shall be around 165 MMTPA by 2033. Indiscriminate disposal of waste at dump yards in unhygienic manner is leading to health related problems and environmental degradation. The role of waste management comes into light for effective implementation of waste disposal which appeals sustainability in our environment. Waste management is collection, transportation, recovery, recycling or disposal and monitoring & analysis of waste, in an effort to reduce their effect on human health and ecosystem. It’s important to utilize the available waste to energy (WtE) technologies which perhaps not fully applied in many parts of the globe. 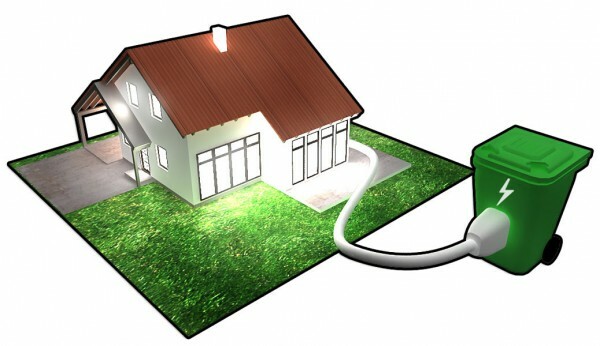 The waste management should take full advantage of the energy potential there in waste. The known recovery technologies from waste are thermal conversion (incineration and gasification) and bioconversion (landfill gas and anaerobic digestion). The WtE systems reduce waste volume by 90% and the remaining residue can be safely disposed off in landfills. The waste is used as renewable fuel to generate energy which helps in reducing reliance on electricity derived from coal-based thermal power plants. WtE systems collect and process the waste scientifically and convert waste into inert non-leachable ash while generating energy. Basically, there are three major concepts of WtE namely Thermo chemical, Biochenical and Mechanical. Thermo chemical concept involves Incineration, Conventional/Plasma gasification and Pyrolysis while Biochemical encircles Biomethanation and Fermentation. The crushing, compressing, and pelletizing are main processes of Mechanical concept. The main merit of Incineration is waste reduction in volume and weight by about 90% and 75 respectively. Of course, it comes with challenges like management of dioxins and furans formed in Incineration. The process involves combustion of waste at very high temperatures in the presence of excess oxygen that produces ash, flue gas and heat energy. After the energy crisis in the 1970s, the solid waste incineration techniques were quickly developed in countries like Japan, Denmark, Sweden, Switzerland, China, Spain, and Austria. 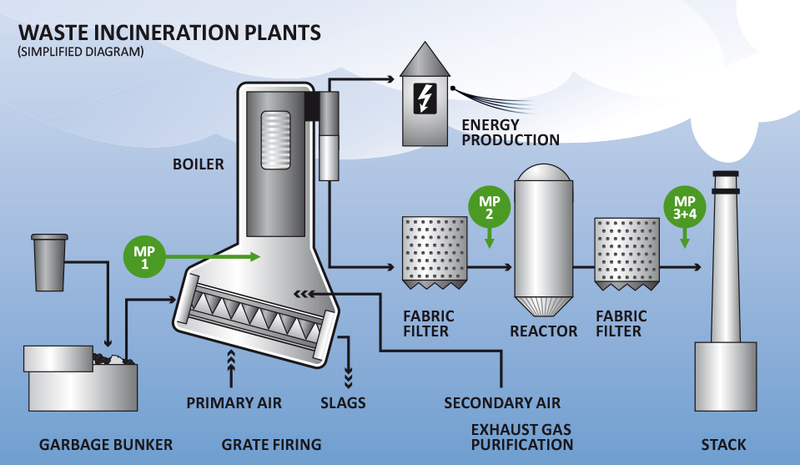 The great majority of these WtE plants are based on moving grate combustion of as-received or post-recycled MSW, and produce electricity and heat. It’s a thermos chemical conversion of carbonaceous fraction of waste into syngas (CO, H2, CH4 and CO2) in oxygen deficient environment and at high temperature (650-1600 deg C). Syngas can be used for various applications such as generation of electricity, FT fuels, chemical, and hydrogen. Its initial cost is higher than incineration process and requires skilled labor to operate. However, it is more efficient and environmental friendly technology than incineration for conversion waste to energy. The main advantages of gasification are related to the fact that it is relatively faster than the other conventional processes. As a result, more waste can be treated in less time. This technology may prevent the formation of dioxins and reduce the emission of acid gases. 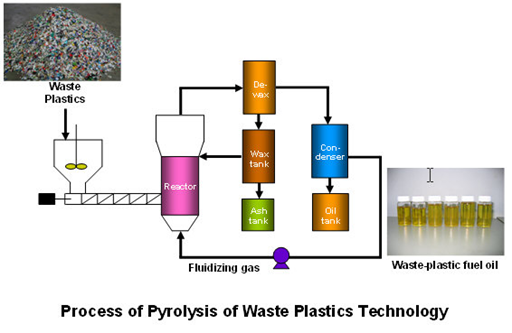 Pyrolysis of waste plastics is an upcoming technology for conversion of plastics to either liquid fuels or chemicals. It’s a thermal decomposition of organic fraction of waste in the absence of oxygen. The conversion produces three components: Fuel gas, Fuel oil and Char along with the inert materials in the waste feed. The major challenges in hydrolysis and fermentation are integration of hydrolysis and fermentation into single step, and availability of low cost enzymes. 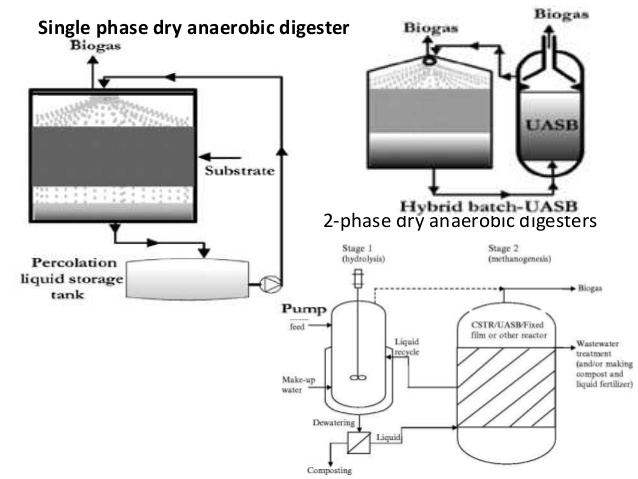 There are two steps in this process, first step in conversion of cellulosic fractions of waste to ethanol is hydrolysis of cellulose and hemicellulose into simple sugars using chemical / enzymes and other step is fermentation of sugars into ethanol followed by distillation. The process produces Lignin which is a by-product. This process gives a high calorific value of the waste. RDF is easily storable, transportable, and more homogeneous fuel for either steam / electricity generation or as alternative fuel in industrial furnaces/boiler and it is also used in cement rotary kiln as co-processing fuel and co-combustion in coal fired power plants. 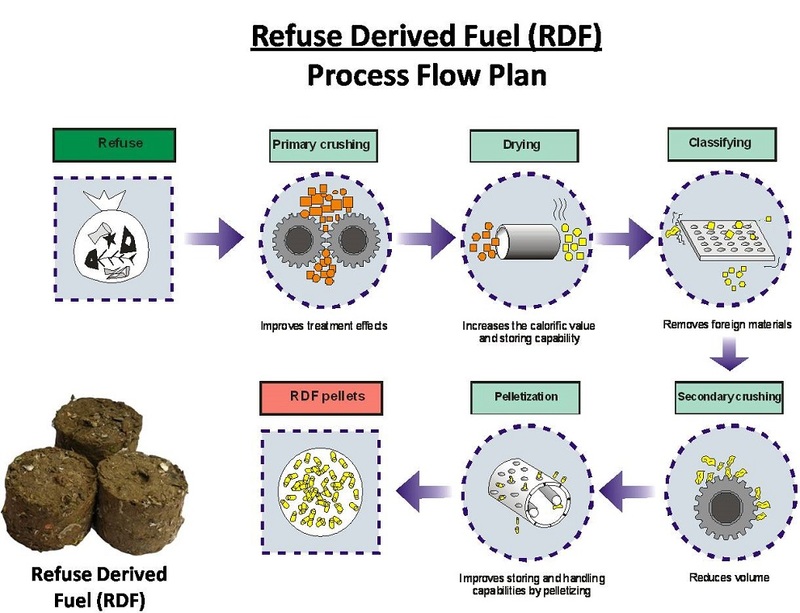 RDF is produced by removing recyclables and noncombustible from waste and producing a combustible material by shredding, compressing, and pelletization of remaining waste. This process is well established and matured technology, but suitable only for wet biodegradable wastes. It’s an anaerobic digestion of biodegradable organic waste in an enclosed container under controlled conditions of temperature, moisture, pH, etc. Decomposition takes place of organic fractions present in waste and it generates biogas comprising mainly of methane and carbon dioxide. Remaining material is rich in nutrients and can be used as fertilizer. For gasification and anaerobic digestion to be successful, the MSW must be segregated in color-coded containers for each type of waste at the generation site. This step supports recycling efforts and it might reduce some MSW sorting costs. From an economic point of view, MSW incineration and gasification present more advantages. Nevertheless, since waste management is often based on other aspects than purely economic criteria (i.e., social or environmental), anaerobic digestion should not be discarded as a future option to recover energy from MSW, although it would be necessary to reduce its investment costs. Waste is a growing renewable source that can be used for generation of energy. While selecting the WtE technology, one has to look at the scale of waste to be processed, existing emission norms, energy recovery and economic factors. Conversion of waste to energy is not only reduces detrimental effects of land disposal but also avoids GHG emissions associated from fossil fuels combustion.